Referred to as "The City" and at other times "the watercolor" in Jeff Randall's journals during its creation. Some of the architectures depicted here resemble the Victorian houses in San Francisco, where Randall lived for a time in the mid-to-late 1990s. 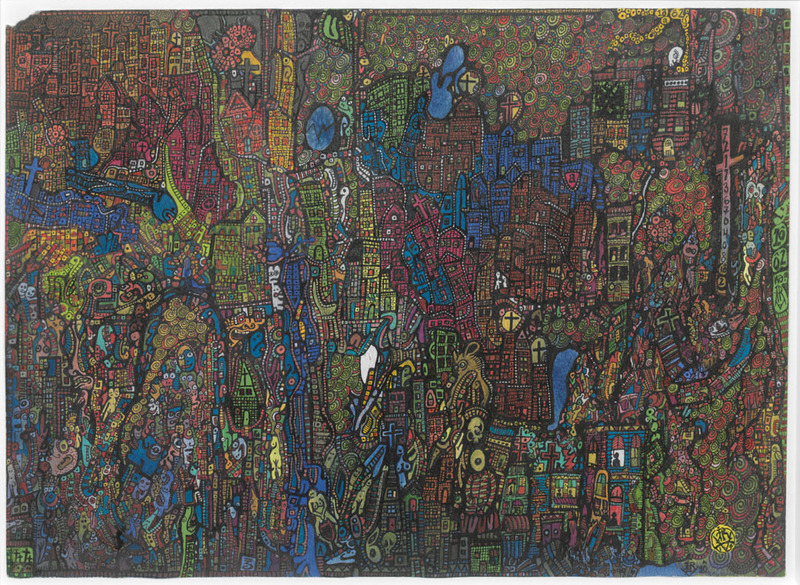 Randall, Jeff, “The City,” The Art of Jeff Randall, accessed April 20, 2019, http://jefferyrandall.com/items/show/124.